. . . these texts are not so much early medieval hagiographies as records documenting the daily concerns and troubles of the early medieval laity and the popular piety which suffused their worldview. . . . Not only would this volume be of interest to historians but it would make a great discussion piece in an undergraduate or graduate course. Those who are familiar with the major works of Aelred of Rievaulx will find this collection of three of his historical works not only interesting, but absolutely fascinating. . . . This edition of Aelred's works offers the twenty-first century reader an opportunity to enter another time and another vision. In so doing, the reader finds new insights, a new vision for life today. Aelred provides us with a captivating read which challenges the reader. This edition of three of Aelred's historical works is something lay people as well as scholars will find invaluable. The translator, editor, and publisher have done a great service to today's Christian community in making these works available. 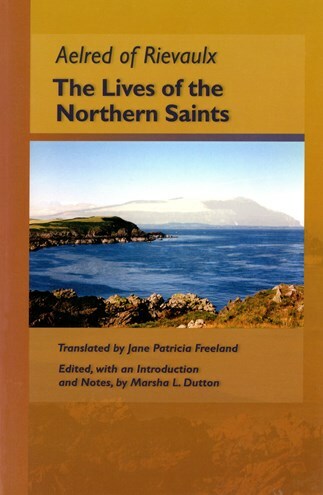 The Lives of the Northern Saints is recommended to those interested in the works of St. Aelred. It should also be of interest to those interested in early medieval northern English Church history and hagiography.